Learn how to be an effective Platoon Leader! Revolutionary new eBook for part-time Platoon Leaders in the Army National Guard and Army Reserves. Learn how to be an effective Platoon Leader! 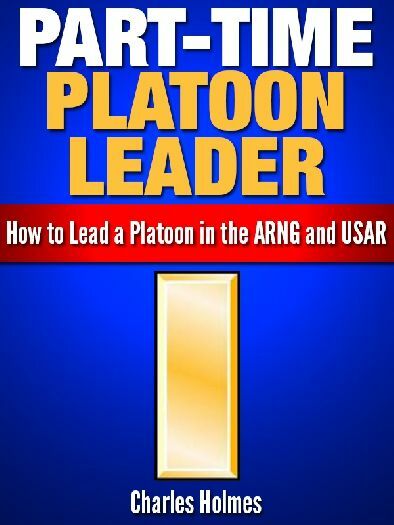 New Platoon Leader eBook for Platoon Leaders in the Army National Guard and Army Reserves. Learn some secret advice to help you develop a cohesive team of trained warriors. Discover how to be an effective, excellent and efficient leader while balancing your family time, civilian job and military career! After reading my Platoon Leader eBook you will know EXACTLY what you need to do achieve success as a part-time Platoon Leader. Features 93-pages. Digital download in PDF format. Just $17.00. Satisfaction guaranteed.